Avalon Waterways invites you to see for yourself the Avalon Difference. To experience the views, you deserve when sailing the world's rivers. Wall-to-wall and floor-to-ceiling, panoramic windows blur the line between outside and in, presenting the greatest window of opportunity in river cruising today.Beyond the widest views on the water is an open invitation to experience your destination in more ways, in your way. With Avalon Choice®, you have your pick of the widest array of included excursions – from classic sightseeing to immersive discoveries to active adventures. With the flexibility to choose exactly what you wish to do before, during and after your cruise. 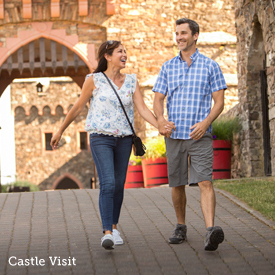 One of Europe’s most legendary rivers awaits you on this exciting journey along the Rhine River, which takes you across Germany—and touches on Holland, France, and Switzerland! From Prague to vibrant Budapest, this Danube river cruise vacation takes you to four countries. 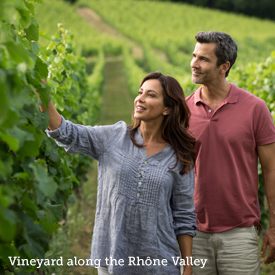 Enjoy the scenic beauty along the way as you cruise past quaint towns can be experienced right from your stateroom or while sipping wine atop the Sky Deck of your ship. Explore Germany and Holland with experiences to inspire, enlighten, and move you to new heights and horizons. For your cruise with endless amazing views, call today. †2019 price is per person, based on double occupancy, land only and does not include promotion and is subject to change. 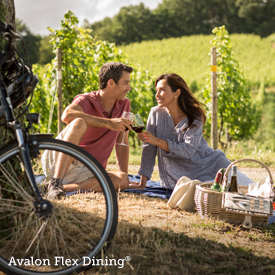 *Book a select air-inclusive 2019 or 2020 Avalon Europe river cruise to qualify for $500pp cruise only or cruise/land price and $299/person round-trip economy class trans-Atlantic air from ATL, BOS, BWI, CLE, CLT, DFW, DTW, EWR, IAD, IAH, JFK, LAX, MIA, MCO, MSP, ORD, PHL, PIT. Other gateway cities available from $200 to $1,075/person additional (inclusive of taxes/fees). $299 air will be based on the lowest available priced itinerary at the time of air booking. Alternate schedules may be available at an additional cost. Does not apply to intra-vacation air. Offers combinable only with Welcome Back Credit. Limited to new bookings for US originating travelers and economy class Flex air tickets; must be booked & under land and air deposit between February 6 and April 30, 2019 for travel on select cruise departures in 2019 & 2020. Pre-assigned seating is limited and may not be available on all flight segments. Offer does not apply to instant purchase air or Custom Tours. Individual members of groups can qualify, if booking is made and deposits applied within the promo window. Group air contracts are not available with this promotion. Groups of 10 or more passengers flying from the same US gateway will not be booked on same flights and could lose promotion if requesting to match flights. Once ticketed, air reservations subject to change/cancellation penalties of between $300 per ticket and 100% of ticket value. Changes to air reservations (including itineraries involving $299 round-trip trans-Atlantic air) subject to airfare differentials between originally booked airline fare and re-booked air itinerary. Airline baggage fees may apply; visit www.iflybags.com for details. Air schedules are available approximately 330 days prior to last travel date. Flight schedules, routings and air carriers are at the discretion of Globus family of brands. Pre-assigned seating may not be available on all air segments. Additional restrictions apply; see Travel Advisor for details. Air tickets are non-commissionable. Offer may be withdrawn at any time. Offer available from participating GFOB offices only. CST#2017032-20.